If you regularly visit the dentist, you must have come across the term, ‘amalgam.’ But do you know what it is exactly? A particular combination of metals that is used as filling material is known as amalgam. It has been used extensively in the industry for almost 150 years and is one of the most common dentistry practices in the world. While it is sometimes referred to as ‘silver amalgam’, it actually comprises a variety of metals like silver, gold, mercury, and copper. In some cases, zinc and palladium are also used. Amalgam is not used as often anymore because of the discovery of new tooth-colored materials which can be used to restore teeth. However, it cannot be used in every situation, and amalgam happens to be less costly than other materials. It is also more sustainable and can withstand more pressure from activities like chewing. Millions of people across the world have amalgam fillings. Experts have raised some concern over the fact that amalgam contains mercury, which can be dangerous and sometimes fatal to the human body. There have been several studies over the years on the subject of the safety of using amalgam as a filling. In 2009, the U.S. Food and Drug Administration (FDA) evaluated this research. The results of the research debunked the limitation as the FDA stated that amalgam fillings are safe for adults and can be harmful only to children below the age of 6. There are certain groups that dispute this conclusion, however, and the situation is under review of the FDA. What is the Reason for Using Mercury in Amalgam? Amalgam utilizes mercury to make the mixture of metals softer and easier to fill into the tooth. It also solidifies quicker and is resistant to the pressure situation that a person’s teeth face whenever he eats or drinks. Have There been Cases of people Reacting to Amalgam? In certain rare occurrences, amalgam has caused people to have allergic reactions to the mercury. Fewer than 100 such cases have been recorded according to the American Dental Association, and there millions of people with amalgam fillings. So this is not a threat. The people who are allergic to mercury can use other kinds of filling material. Are there any alternatives to Amalgam? 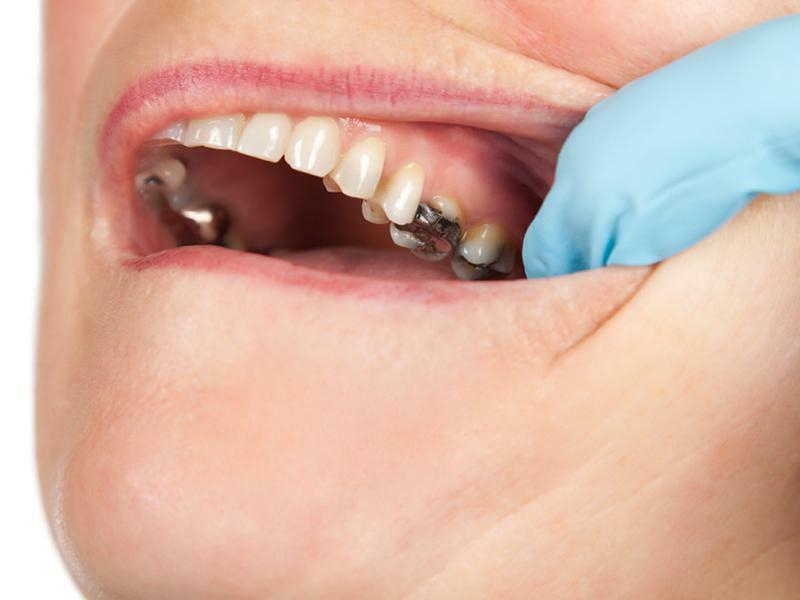 A new form of dental amalgam has been discovered. This form of amalgam contains indium, a substance which can be utilized to retain the mercury and hold it back from getting released into the environment. There are also copper amalgams, which has lesser mercury and more copper. Lately, dentists have also been using materials like composite resin, porcelain, and gold to perform fillings. It has been proven that amalgam is stronger than these materials and takes less time and effort to fill. Some people prefer composite resin because is a tooth-colored material. However, these materials wear off faster and cannot be used for all situations, especially for people who want more permanent fillings.